Efficiency and durability are highly demanded in sustainable architecture. 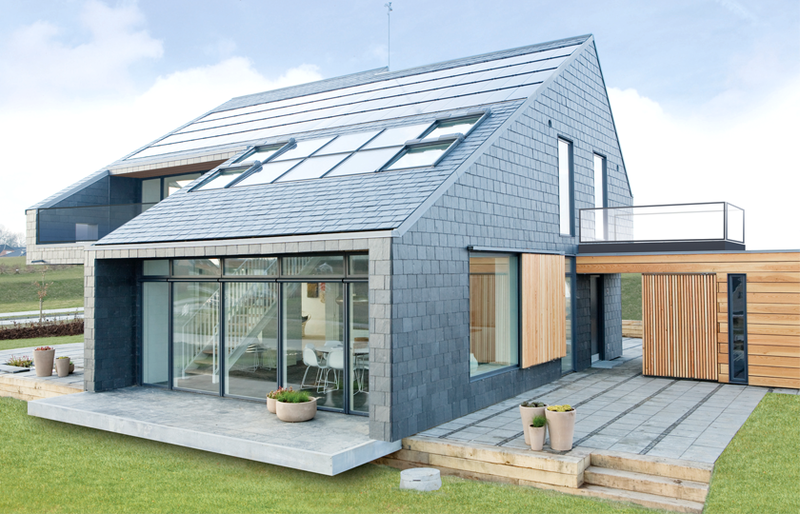 Natural materials such as natural slate provide long-life and energy-efficient buildings, with significant advantages according to the inhabitants wishes. 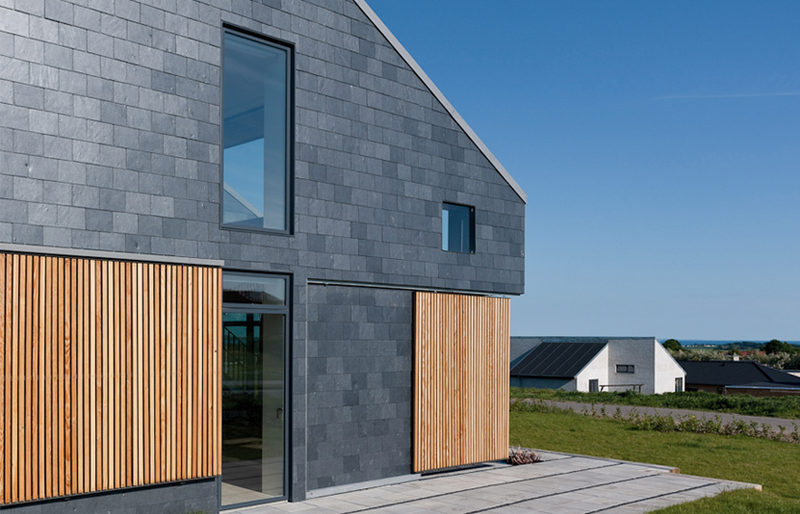 A good example of this is Home for Life, the world’s first Active House, designed to produce more energy than it consumes, that used CUPACLAD system to create a rainscreen cladding in natural slate. 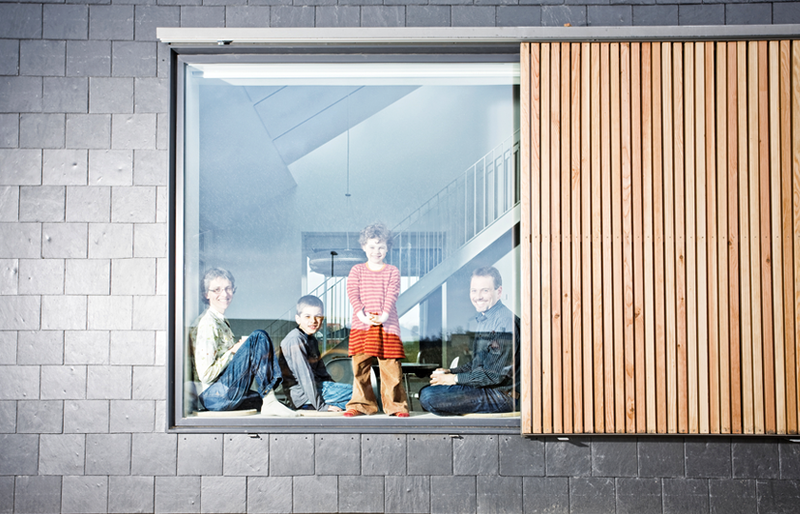 In fact, the aim of AART architects was demonstrate the potential of low energy housing. 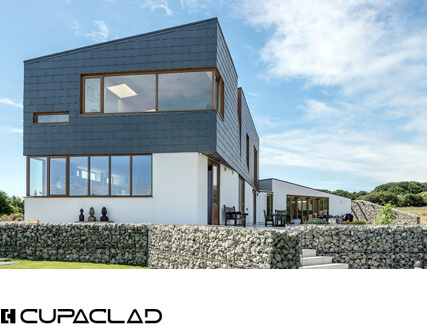 The choice of CUPACLAD on the facades reflects the wish for durability, low CO2 impact and minimum maintenance of this project. 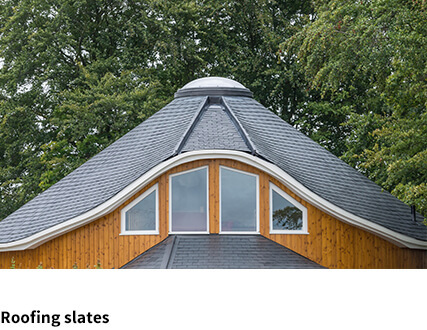 CUPA PIZARRAS natural slate was also installed on the roof in order to remain resistant and long-lasting, a major architectural challenge nowadays. 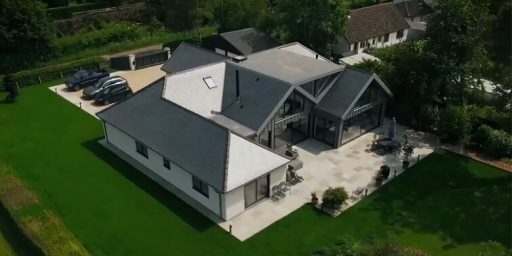 Located in Lystrup (Denmark), Home for Life has 190 m2 distributed over 1½ floors. The project, completed in 2008, used 340 square meters of CUPACLAD™ 301, an invisible fixing system, with natural slate installed according to the traditional way, with vertical orientation. 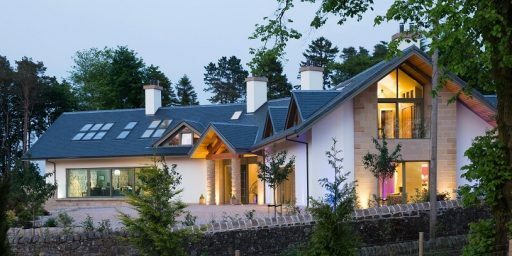 The traditional cladding system is a timeless method of creating natural slate facades and taking advantage of its properties: durability, ecology and beauty. Thanks to the use of natural products and other innovative solutions, it will take Home for Life 35 years to produce the same amount of energy that was used to produce its materials. By that time, the house will have returned more to nature than it has consumed. 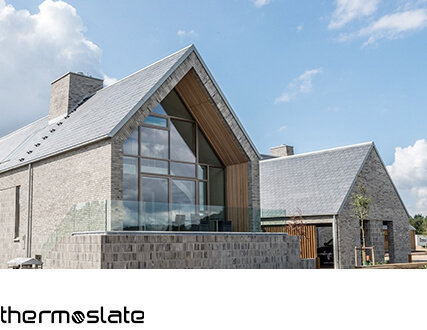 Moreover, CUPA PIZARRAS natural slate requires no additional treatment, substantially reducing CO2 emissions into the atmosphere. The house is managed in such a way that electricity and heat are used to a minimum. 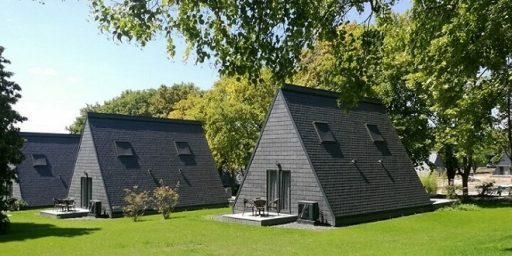 In the summer, the automatically controlled natural ventilation is used to air the rooms. 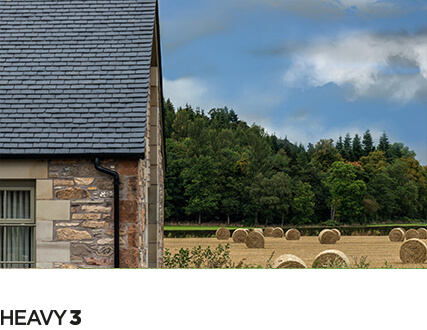 During the heating season, mechanical ventilation with heat recovery is used, so the cold air can be heated without the use of additional energy. Intelligent control regulates the outdoor and indoor sun screening for optimizing heat and light intake as well as switching off lights when the room is not in use. 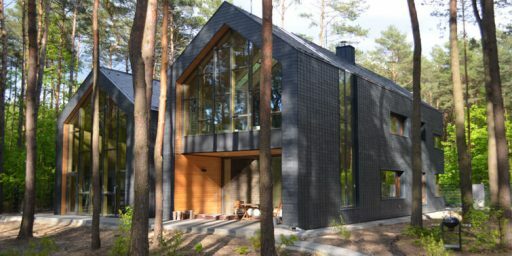 The project was developed by the VELUX Group and VELFAC in cooperation with AART Arkitekter and Esbensen Consulting Engineers. 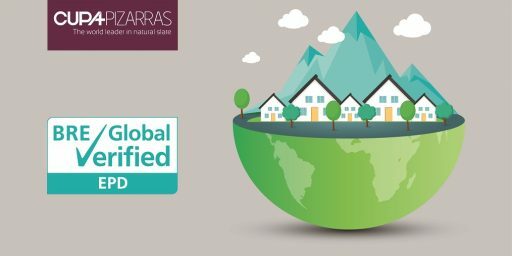 Home for Life has been awarded the international Green Good Design Award 2010, that celebrates the world’s leading sustainable architecture projects. 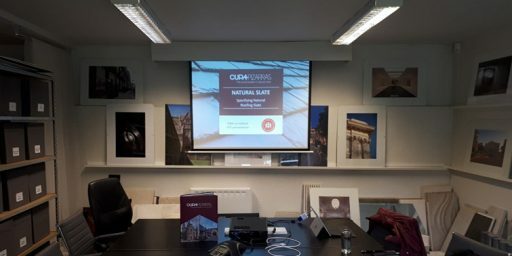 More information about CUPACLAD in our website.